Below is a batch of entries on bankruptcy and defaults in the US from Rebel Traders. Supreme Court Justice Ruth Bader Ginsburg put a temporary hold Monday on the deal to sell Chrysler to save it from collapse. Her order, however, simply gives her or the full Court more time to ponder whether to postpone the sale further, or allow it to go forward. The order can be found here. The action had almost no legal significance, however. The deal remains in legal limbo until Ginsburg, as the Circuit Justice, or the full Court takes some definitive action. Thank goodness is all I have to say. I hope the rule of law will prevail and the Government will not be able to circumvent the laws any longer in this matter. I hope this goes to the full Supreme Court for a formal hearing. The United States Supreme Court will NOT take the case to the full court for open hearings. The following is the Supreme Court order released moments ago. It looks as if the 'rule of law' has been considered a 'non issue'. This is very dangerous going forward for other companies who need or want to sell bonds for the purpose of raising capital. Opps.. I guess the shareholders should have left the money in the mattress... Now they have nothing. U.S. credit card defaults rose to record highs in May, with a steep deterioration of Bank of America's lending portfolio, in another sign that consumers remain under severe stress. Delinquency rates—an indicator of future credit losses—fell across the industry, but analysts said the decline was due to a seasonal trend, as consumers used tax refunds to pay back debts, and they expect delinquencies to go up again in coming months. Bank of America—the largest U.S. bank—said its default rate, tho se loans the company does not expect to be paid back, soared to 12.50 percent in May from 10.47 percent in April. In addition, American Express, which accounts for nearly a quarter of credit and charge card sales volume in the United States, said its default rate rose to 10.4 percent from 9.90, according to a regulatory filing based on the performance of credit card loans that were securitized. Credit card losses usually follow the trend of unemployment, which rose in May to a 26-year high of 9.4 percent and is expected to peak near 10 percent by the end of 2009. With tax payers on the hook for just about every corporate failure in this nation I guess I should not be surprised by this one bit. The Federal Reserve holds $744 million of various junior classes of debt and $153 million in the senior debt that the central bank assumed after the collapse of Bear Stearns, which held a sizable amount of the hotel chain's debt. The losses are mounting for the Fed on those Bear Stearns assets, which continue to sour. Extended Stay loans were held on the Fed's balance sheet via a company called Maiden Lane that the central bank lent $29 billion in June 2008 to purchase $30 billion of Bears' assets. J.P. Morgan invested $1 billion in Maiden Lane. Maiden Lane's value had fallen to about $26 billion as of March 31 and is likely to fall further because the assets include securities backed by shaky Alt-A residential mortgages and commercial real-estate loans tied to companies in industries hit by the recession, such as a $4 billion of debt in Blackstone Group's $26 billion buyout of Hilton Hotels in 2007. 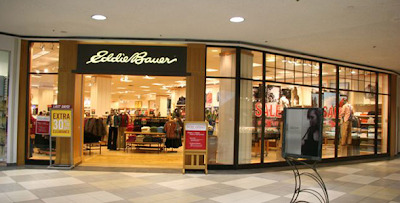 Eddie Bauer Holdings Inc. filed for Chapter 11 bankruptcy protection Wednesday. As part of the filing, the company has an agreement to sell its assets to private-equity firm CCMP Capital Advisors LLC. CCMP said it plans to keep a majority of the retailer's employees and operate a majority of its stores. It said it would support the company's efforts to continue to pay suppliers and honor gift cards while it operates under bankruptcy court protection. Founded in 1920 [This company survived the Great depression only to go under yesterday], Eddie Bauer was known from the 1950s to the 1980s for its down jackets, mountaineering parkas and expedition gear. Then, in 1988, Spiegel Inc. bought the company and transformed it from an outdoor-wear and -gear store into a retailer focusing on women's casual clothes. In 2003, Spiegel filed for bankruptcy protection, and two years later Eddie Bauer was spun off. Truthdig has a very interesting article on the U.S. Dollar and the world's reserve currency. A harsh look from a different perspective. This week marks the end of the dollar's reign as the world's reserve currency. It marks the start of a terrible period of economic and political decline in the United States. And it signals the last gasp of the American imperium. That's over. It is not coming back. And what is to come will be very, very painful. Barack Obama, and the criminal class on Wall Street, aided by a corporate media that continues to peddle fatuous gossip and trash talk as ne ws while we endure the greatest economic crisis in our history, may have fooled us, but the rest of the world knows we are bankrupt. And these nations are damned if they are going to continue to prop up an inflated dollar and sustain the massive federal budget deficits, swollen to over $2 trillion, which fund America's imperial expansion in Eurasia and our system of casino capitalism. They have us by the throat. They are about to squeeze. [...] I called Hudson, who has an article in Monday's Financial Times called "The Yekaterinburg Turning Point: De-Dollarization and the Ending of America's Financial-Military Hegemony." "Yekaterinburg," Hudson writes, "may become known not only as the death place of the czars but of the American empire as well." His article is worth reading, along with John Lanchester's of the world's banking system, titled "It's Finished," which appeared in the May 28 issue of the London Review of Books. "This means the end of the dollar," Hudson told me. "It means China, Russia, India, Pakistan, Iran are forming an official financial and military area to get America out of Eurasia. The balance-of-payments deficit is mainly military in nature. Half of America's discretionary spending is military. The deficit ends up in the hands of foreign banks, central banks. They don't have any choice but to recycle the money to buy U.S. government debt. The Asian countries have been financing their own military encirclement. They have been forced to accept dollars that have no chance of being repaid. They are paying for America's military aggression against them. They want to get rid of this." 1) After putting a temporary hold on the deal to sell Chrysler, the Supreme Court has decided NOT take the case to the full court for open hearings, badly damaging US contract law. 2) Six Flags (one of the largest regional amusement-park companies) filed for bankruptcy protection Saturday. 3) US credit card defaults rose to record highs in May. 4) Bank of America-the largest U.S. bank-said its default rate soared to 12.50 percent in May from 10.47 percent in April. 5) Credit card losses follow the trend of unemployment, which rose in May to a 26-year high of 9.4 percent. 7) on those Bear Stearns assets, which continue to sour, with Maiden Lane (the company created by the Fed to hold Bear Stearn's toxic assets) has lost 3 billion of its 29 billion investment. 8) The Fed's losses will ultimately be paid for by US taxpayers and the holders of dollar debt. 9) Eddie Bauer Holdings Inc, which was founded in 1920 and survived the Great depression, filed for Chapter 11 bankruptcy protection Wednesday. 10) Top officials from Asian Nations (Chinese President Hu Jintao, Russian President Dmitry Medvedev, etc...) are meeting in Yekaterinburg, Russia. 11) The United States, which asked to attend, was denied admittance from this meeting. 12) The meeting suggests China, Russia, India, Pakistan, Iran and other Asian nations are forming an official financial and military area to get America out of Eurasia. 1) Rule of law in America has been defeated by special interests. 2) America's service sector (which makes up most of the economy) is slowly imploding. 3) Losses are mounting for the Fed, as the toxic assets it acquired continue to sour. I will be paying especially close attention to what comes out of the Yekaterinburg meeting in Russia. This entry was posted in China, Federal_Reserve, News_Developments, Russia, Wall_Street_Meltdown. Bookmark the permalink. "Asian nations are openly conspiring together about the future of the US and the dollar"
"Openly conspiring" is an oxymoron. The purpose of course is to conjure up the prejudicial view of sneaky Asians. Asians are not plotting in secrecy. They are openly telling the world that the USD is to be doomed. It is the US and the FED who is doing all the scheming, and plotting which forces the Asians to abandon the dollar as WRC. You people are absolutely paranoid. nothing is going to collapse soon, including USD. If there is too less money, Fed will print it. It's that simple. There's nothing wrong with printing money. Lucy, so you don't have a heart attack when it happens, i just want to let you know that the world(including you) will be more prosperous when credit collapses. You will be demanding and working for things of value(gold/silver/platinum/palladium etc.). You'll have to work for it but unless you're very old, have no family/friends and the entire world hates you too much to share their new found wealth with you, you have nothing to worry about. The bankers and their advocates would like you to believe that gold/silver bugs are pessimistic/doomsday propaganders but it's the bankers and their advocates that paranoi the public and put in to the mind of the public that a collapse of the fiat currency is the end of the world when the truth is the world would be much better without a fiat currency. What's wrong with fiat currency?? All money is fiat, including gold & silver. It should take at least a decade for this to happen, still US is the largest(at least double the second largest),it has strongest military power(Geo-politics is the major factor which is never considered in all this argument). The world is so tightly intertwined that no one will want US or $to fall.This is going to happen slowly and steadily not in couple of years. You are right, for more centuries gold and silver were the currencies but world did not see such a explosive growth. It's Fiat currency which made this century happen. Lucy, without getting in to an argument with you about what is fiat, I really mean to say that the world will be better off without a banking/credit system. Banking/Credit is price fixing and price fixing decreases the world of producers as credit discourages people to work for the money and instead just borrow the money. Not only just borrow but borrow to pay someone else you borrowed from and so on and so on. So you borrow to pay someone you borrowed from to pay someone you borrowed from to pay someone you borrowed from to pay someone you borrowed from and etc. etc. etc. in other words a ponzi scheme. This is price fixing because you never really pay the full cost, you subsidize. And that is what banking/credit is. What Bernie Madoff did is no different than how banking works. That is in fact what banking is. And don't think to say that banks can make money by raising the interest on loans. The higher the interest on the loan the more companies that borrow will have to raise prices to earn enough to pay those borrowing costs to stay in business. This is why banks loaned so easily(while lending is easy, borrowing costs are low and while lending is tight borrowing costs are high), to keep the bond strong and thus the currency strong by keeping companies that borrowed from raising prices to pay the borrowing costs/risk premium if they choose to stay in business. And easy lending leads to insolvency and defaults, which is where we are today. Credit is inherently destructive but not only does it destroy itself it destroys the producers of the world while it is running. When it stops running, more people become producers instead of just consumers. Venkat I disagree that the growth we had was because of a fiat currency, the growth we had was in spite of the fiat currency. Growth comes from producers not consumers. Look at all the things you consider growth and check where they were made. Then look at how those same places did not participate in the massive overleveraging(credit). Also Venkat you are assuming that the strength of US bonds is dependent on people accepting our bonds. This credit crisis did not happen because people CHOSE to get out of stocks and bonds, it happened because those stocks and bonds failed to deliver(defaulted) and this is why they dropped in value. It's an uncontrollable event. The govt. is trying to control it by printing more base money to stop the defaults but contrary to what Lucy said, it's not that simple. There is a limit to govt. printing. The government can print as long as it wants but it can't print as fast as it wants. The printing press has a speed limit and right now it is running at full speed and guess what? It's STILL not enough to stop defaults(granted it's slowing it down but it's not even stopping it and the printing presses are running at full speed). It's foolish to think that the govt. 's printing press will be able to keep pace with defaults or slow down defaults for a decade, when the printing press is already running at full speed and the credit collapse has allot more room to fall and room to pick up speed. In fact the more defaults, the harder it will be to slow down the defaults. There is no way the credit markets can take 10 more years of what has happened in this year alone. We have at most 2 more years left before we see a total collapse of the credit markets. China will be defaulted on as will many others holding bonds/trusts/funds/bank accounts and borrowing costs will go through the roof with consumer prices moving in tandem. You might get rid of your gold/silver and I will be glad to get rid of my USD (have been selling my USD to buy silver). All of us will be happy then. I generally feel that your take on things is spot-on, but I think that your genetic ties to the founding of the Fed has deeply compromised your perspective. I also sense that you haven't really thought things through to their core. For one thing, if I understand you correctly, you lump the issuance of fiat currency by a private bank as being the same as currency issued directly by a government. They sound the same, but they are worlds apart. The 'Fed' has been granted a license to print money for free (out of thin air) --but which WE then BORROW AT INTEREST. I won't belabor the implications of a debt-based currency here, since investigators such as Ellen Brown (see: Web of Debt) have done a far better job of it than I could. Among other things, for example, she makes a sound case for the premise that the destruction of the currencies of the Weimar Republic and the Continental dollar of the American colonies --as well as Zimbabwe-- was a consequence of currency speculation (shorting), not, fundamentally, the rash use of printing presses by the government. In this light, you might therefore wish to consider the possibility that you are merely promulgating a highly useful myth in the hands of the banking cartel when you say such things as: "Unsurprisingly, the number one cause for hyperinflation is massive deficit spending as the Weimar republic demonstrates." Interestingly, following this, Hitler then managed to turn Germany into an economic powerhouse in only four years. How did he do it? He simply printed his own money, but kept it out of reach of the European banking establishment. As despicable as he was, this explains how he became so enormously popular, appearing to the general population as some kind of magical avatar. I would also be very interested in knowing your take on the assessment of the present monetary system as depicted in Zeitgeist Addendum (http://www.zeitgeistmovie.com/). 'Addendum' is the video on the left. For a quick look, begin by moving the progress-cursor up to 4 minutes, 25 seconds. I would recommend the next 20 minutes. To the guy replying just above. I think you are mistaken about what turned Germany in to an economic powerhouse. You are falsely giving the credit(no pun intended) which the free market deserves to Hitler's credit system. I don't know the details but I believe what turned Germany in to an economic powerhouse was the destruction of their credit system and paper currency. As credit was destroyed production increased. Just like i said to Venkat, this growth that you see in the world today is in spite of the fiat currency/credit. "Hitler then managed to turn Germany into an economic powerhouse in only four years. How did he do it? He simply printed his own money"
This demonstrates a shocking ignorance of the monetary policy of Nazi Germany. They were heavily financed by the Bank of International Settlements as well as a consortium of western banks including Chase Bank of Manhattan (now part of JPMorgan Chase)as a matter of necessity since many of their critical imports required FX operations including not only transactional, platform services but direct counterparty positions and outright lending. This is how they were able to secure funding to do business with IBM, Standard Oil, and a host of other American companies that were not supposed to under the Trading With The Enemy Act. In the aftermath of the Weimar Republic fiasco, Hitler promised a 'never again' to hyperinflation and Wall Street and the American corporate establishment saw HUGE profits through age-old martial arbitrage by financing both allies and axis powers to hedge 'defeat risk'. Hitlers' most powerful allies were corporate executives. To say Hitler simply printed the money goes against the public record. Even the New York times has articles from that era openly raising this issue of Western finance houses such as the now-defunct Union Banking Corporation financing Germany's rise to power while american GIs died by the thousands. If you don't know, be silent. In response to your ironic suggestion that, "This demonstrates a shocking ignorance of the monetary policy of Nazi Germany"... I would bring to your attention that Hitler was in power for 12 years. The arrangements you refer to relate to roughly the second half of his tenure as he was gearing up for and prosecuting a war. Are you seriously asserting that Hitler, as a newly elected and untested official in 1933, and starting from scratch on the foundation of a devasted economy, simply borrowed Germany into national prosperity? Do you really think that all of the massive public-works projects he initiated in the very beginning were paid for by the BIS and Chase Manhattan? Maybe you should stop watching CNBC. But, then again, perhaps massive Bailouts were all the rage even back in the 30's, and maybe I missed that chapter. In that event, I naturally defer to your expertise. Thank you for the enlightening discourse, so as you suggest, I will now return to silence. I entirely agree with your sentiments, and apologies of my own are no doubt in order. Often, lack of discretionary time seems to channel discussion into the shortest route to confrontation. Ideas that are not in the mainstream handbook require more developmental attention. It was my mistake that I addressed what I felt was the essential core of the discussion in such seemingly simplistic terms. The crucial point that I wished to highlight was of course, that there is indeed a vast difference between borrowing money that is minted out of thin air and the more rational alternative: the Direct issuance of currencies by the government. In both instances, the money is assuredly fiat, and both are created from nothing and backed by little more than faith alone. However, as the latter comes without the burden of an assumed debt --a debt that is/was itself created out of thin air. I feel that this virtually defines the most fundamental of 'tectonic' levels, to which you refer, since the fractional reserve system is, by its very nature, little more than a very clever sleight of hand.